It may be the “most comfortable pillow you’ll ever own,” but MyPillow can’t help with snoring, fibromyalgia, migraines or any other medical conditions. The company behind the legendary infomercial got a wake-up call this week when it was fined $1 million for deceptive advertising practices, charges brought by prosecutors in nine California counties. Ads for MyPillow are everywhere: The company spends $1.4 million a week on advertising, and more than 18 million pillows have been sold since the company was started 10 years ago, according to a story in the Boston Herald. But the Minnesota-based company can no longer claim its products can cure, prevent or treat any diseases — without reliable scientific proof. It will pay civil penalties of $995,000 and donate $100,000 to shelters for the homeless and domestic violence victims. It may indeed be fluffy, but according to a recent lawsuit, the My Pillow does not help with cerebral palsy, PTSD, or acid reflux. “We will hold accountable companies that makes false claims to get consumers to buy their products,” Jeff Rosen, Santa Clara County District Attorney, said in a statement. The consumer watchdog group truthinadvertising.org (TINA.org) sounded the alarm about MyPillow back in February and provided its findings to prosecutors in California. Lindell insists he did not make any medical claims for his pillows, but merely posted testimonials from customers on his website. 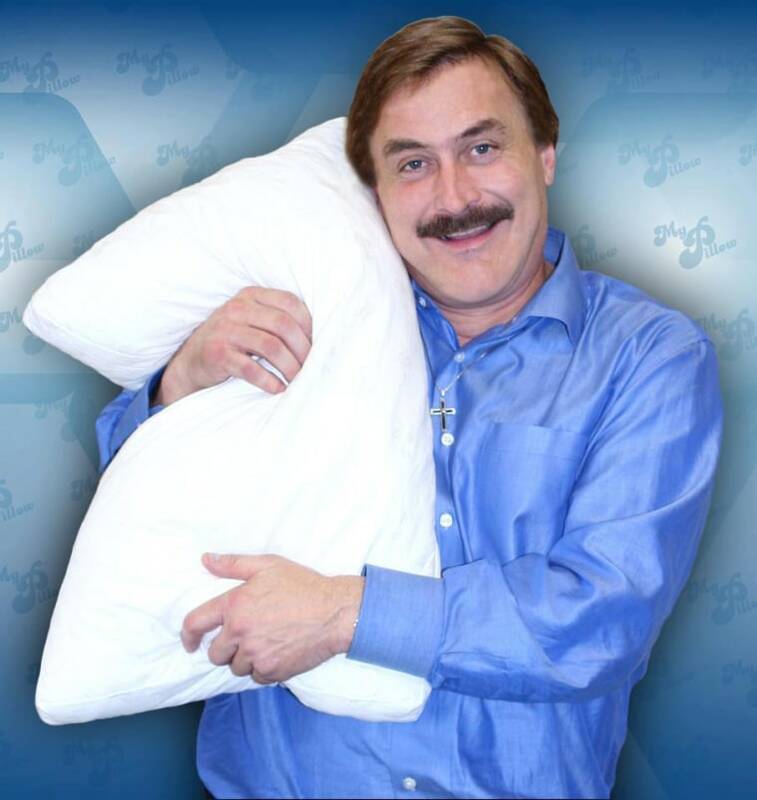 As part of the settlement, MyPillow has until the end of January next year to stop calling its products the “Official Bed Pillow” of the National Sleep Foundation. The California complaint alleged MyPillow did not disclose that there was a material financial connection between the company and the foundation. Lindell told NBC News he did not buy the NSF’s endorsement. He said he did give them money and planned to continue doing that. MyPillow’s legal problems are far from over. Three class-action lawsuits have been filed against the company. A preliminary settlement has been reached in one of these cases. It would require the company to refund $5 to people who bought the pillow and prohibits MyPillow from making unsubstantiated health claims in the future.